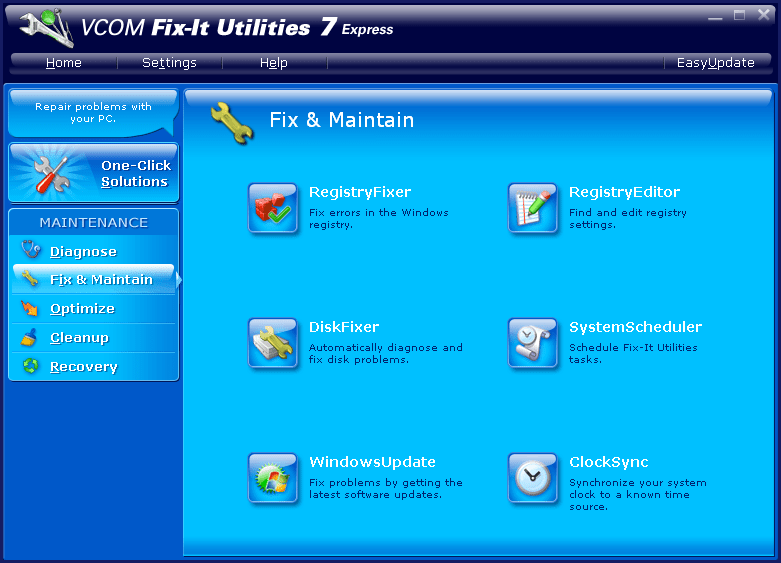 Download Fix-It Utilities 7 Express for FREE! Before i start writing, just want to convey the reason for less posts by me here these days. My system motherboard needs to be replaced for my system to start working again. That is making it difficult to write posts regularly as i used to do it before. Hope that gets fixed soon. Till then i am using someone else Laptop for writing my posts. Here’s another freebie for all of you. You can Download Fix-It Utilities 7 Express for FREE!. Even though the latest version for this software is 9, still its a good bet if you are getting it for free the full version. It is basically a all in one tuneup utility for Windows. * UndoIt – revert and undo all changed made by Fix-It Utilizes . To get it for free, Visit this Promopage. On that page, you need to register with Avanquest software if you are not registered. If you are registered, just enter your email address and click Download button to download the Installer. The Serial/license key will be given to you when you click the download button. Use that key to activate Fix-it Utilities. Dude! it’s time to fix the link. The link given by you is http://http//bit.ly/1Vwwsv. Somehow you’ve added another http// in the link. Keep up the good work dude. Hope your computer will be back to normal as soon as possible. Hey Avinash! somehow you’ve added http// twice in the promo link. Fix the link. Keep up good work dude! Hope your system gets fixed soon. Is there any problem with Discus! This is the third time I am commenting and I won’t see my comment here. hi mate. Thank you for pointing the link problem. I have fixed it now.Regarding Disqus, yes it does take some time to refresh comments. Don’t worry all your comments are here. Also, the Cache configuration of the blog sometime make the comments to appear a bit delayed.